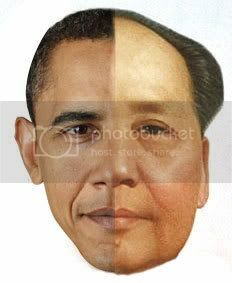 A news organization, fair and impartial, is asking all of its readers to print out an Obama mask and send the results to them. Guess proselytizing is a new media mandate in the New Soviet Era. Nikita Kruschev, eat your heart out. Great one Kevin. Can't hardly tell them apart. So, are we going to hear from the liberals now that we are being mean-spririted and hateful that Kevin is comparing the messiah to Hitler? Haha good ones! I tried to find a big image of you to do it with, Brian, but was unsuccessful. I also failed with Carter, because his face is so weird. That last one is the best yet. Fits perfectly. Brian, you rock! The Leninobama is really really scary! 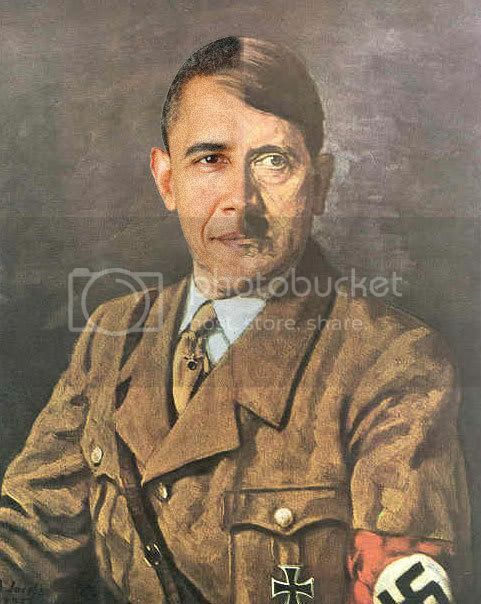 Kevin, loved the Obamahitler, artsy.